Megan Bricker is the Business Development Manager for Kattan Ferretti Insurance. She is responsible for developing growth strategies while managing and retaining relationships with existing clients. Megan brings over 12 years of management experience, including more than a decade focusing on business development and sales. 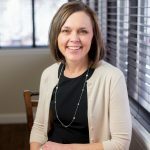 Prior to her role with Kattan Ferretti, Megan spent five years as a Community Relationship Manager at Commercial Bank & Trust and eight years as a Manager at First National Bank in Greensburg, PA. Megan is heavily involved in the community. 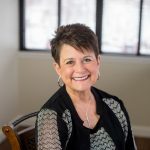 She is a member of the Westmoreland County Chamber of Commerce and the Greater Latrobe Laurel Valley Chamber of Commerce, where she serves on the golf committee. Megan graduated from the University of Pittsburgh with a BS in Management Information Systems. She enjoys spending her time outside of work with her family.